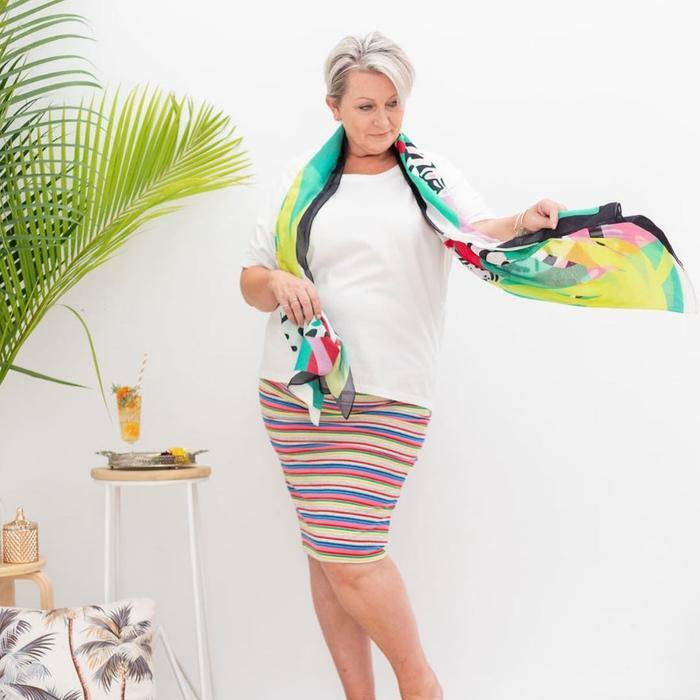 A great casual skirt for summer days and relaxes nights with friends. It's a best seller from our mates at Hunt+Kelly. 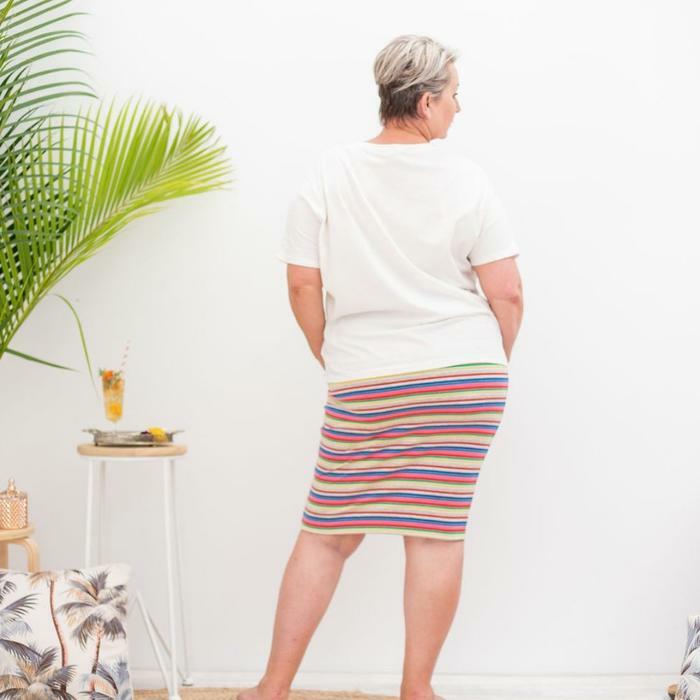 This gorgeous flattering skirt by Hunt and Kelly now comes in a fun candy stripe. Made from a double layer of cotton, spandex jersey for comfort and flattering fit with an extra wide band about the waist. The simple grey background with lots of colour choices in the stripes lets you mix it up with all your favourite tops. Evie is a size 18-20 and wears the 3. Size 0 suitable for size 8 to 10.